Book School Fundraisers and Team Parties Now! Sparkles is more than just a skating rink or indoor playground; we are THE place for group events in Hiram. Whether you’re planning a team party or a class fundraiser, when you need a kid-friendly venue, we’re the place to go. We offer fundraising skating parties, team parties and group events for local schools. If you are looking for a new, fun way to help raise money for your child’s school, our fundraiser events are the perfect solution! We can help you raise money for a good cause. Sparkles is also a perfect option for end of the year school parties, so the kids can end the year on a high note. In addition to our spacious skating rink, where party guests can skate to their favorite tunes, we also feature an amazing multiple story laser tag arena, a fun indoor playground, and an arcade that is packed full of great games. We offer something for everyone. These days it seems it is hard to plan an event that everyone can enjoy, but at our Hiram family entertainment center, we can entertain all ages and interests with a wide range of activities. It’s easy to get people to show up for your fundraiser event when you make it too fun to miss! Throwing team or scout parties has never been easier thanks to the group event options we offer here at Sparkles. We offer plenty of room for both players and their families, and we take care of everything. You can sit back, take a deep breathe, and enjoy the party instead of worrying about set-up, clean-up, and hosting duties. Our party packages are very affordable; they all come with pizza, soda, game tokens and a reserved party area. When you are ready to plan your group events in Hiram, contact Sparkles! Remember to book early; the closer we get to spring the more packed the calendar will be! Think you don’t have anything to do on Valentine’s day? Wrong! We’re throwing the best teen party in Hiram this Valentine’s Day, and it’s going to go all night. It’s our Masquerade All Night Skate! This event is an absolute must if you’re looking for date ideas in Hiram, whether you want to get on the floor and skate, enjoy some friendly competition in the arcade, or if you and your date would prefer to just sit back and enjoy a slice of pizza. You’re sure to have a great time at Sparkles. The party lasts all night, which means you can stop by any time after 7:30 PM! Take your date out to see a movie, and then drop by Sparkles for a little bit of masquerade-style fun, along with the best music and skating. If you don’t have a date then come put on a mask and meet someone new! Enjoy our modern masquerade ball while you skate. We’ll give you a free mask with your skates so all you need to bring with you is an air of mystery. Don’t have a date, but don’t feel like meeting anyone new? Don’t worry about it. Just grab a few friends and come to the best teen party in Hiram. It’s a fun way to spend the night with a few besties skating, eating pizza, playing arcade games, or just enjoying the fun masquerade atmosphere. The Masquerade All Night Skate starts at 7:30 PM on February 14th, and doesn’t stop until 7:00 AM! Your $25 entrance fee gets you admission, skate rental, a free mask, a slice of pizza, and a soda. Can’t beat that for an entire night of fun! At Sparkles we understand that kids birthday parties can be hard to plan so we work hard to make it a little easier on you. We’ve put together a few helpful tips to help your party go off without a hitch! Make sure you have an accurate guest list. Anyone extra will be asked to pay separately to enter, so be sure that the guest list either includes everybody who will be going to the party, or if someone is planning to come, but they aren’t on the guest list, make sure they know beforehand that they’ll have to pay separately. All guests need to wear socks. Neither adults nor children are permitted to be barefoot during your party. Make sure that everyone is aware of this so that no one accidentally goes sockless! Parents skate for half off. Parents of any children on the guest list are allowed to skate for half price all day, so children and parents can both have a great day! Get here early. The parent responsible for chaperoning your party needs to arrive at least 10 minutes early. We can’t let your guests in without them, but if they’re here early then we’ll be able to let any of your guests in as soon as the party starts. Get the schedule from the party manager. Once everyone is checked in talk to our party manager and they’ll take you through the party schedule and answer any questions you may have about it. Our party managers are great at hosting kids birthday parties! For any other questions about your child’s birthday party please contact us, and follow us on Facebook and Twitter for more great party tips! How do you spend an unforgettable Valentine’s Day in Hiram, GA? Think outside the box: Take your loved one to a date night at Sparkles! No matter what ages you are, you’ll have a romantic, memorable holiday in our newly-renovated venue during our Valentine’s Day Skate from 2 to 7 pm on February 14th. It’s important to show your date that you’ve put time and effort into planning a creative Valentine’s Day date. Move beyond making stuffy dinner reservations where you’re stressed about what fork to use or watching the latest rom com like everyone else. Your creative planning efforts are a sign that you’re trying to improve and strengthen your relationship. Even better, we’re offering two-for-one admission at our Hiram Valentine’s Day Skate, which means you can save money on the evening’s entertainment and have more to spend on a special gift for your special person. Roller skating will make you feel like kids again, and of course it’s a great excuse to hold hands. As an added bonus, you’ll simultaneously burn off the calories from those Valentine’s Day chocolates! We’ll be playing your favorite tunes, and you can grab a sweet treat from Couey Cafe. We even have wine and beer for the 21 and up crowd. Sparkles isn’t just the solution to an unforgettable Valentine’s Day in Hiram. Our wide range of activities (laser tag, playground, arcade) are perfect for all ages and occasions. From date night to kids parties to fundraisers, we do it all and make it fun! Looking for Martin Luther King, Jr. Day activities in Hiram? Students in Paulding County Schools will have the day off and we’ll be OPEN, so you can come have fun with your friends all day long! We’ll be open from 11 am to 8 pm on MLK Day, Monday, January 18th. Admission is just $6 for single activity admission and $4 for skate rental, OR you can enjoy everything we have to offer with our Unlimited Fun Admission: Skate admission, skate rental, playground (kids 10 and under only), plus unlimited laser tag games! Unlimited Fun is a great deal at just $16 for the full day (11 am to 8 pm) or $12 for the evening (4 pm to 8 pm). We hope you’ll invite all your friends and come out to have some fun at Sparkles Hiram! Martin Luther King, Jr. was born in Atlanta, GA. Today his childhood home is a museum, and you can even take a tour! Speaking of his birth, did you know that his name was originally Michael King, Jr.? He was named after his father, Michael King, at birth, but when he was 2 years old, his father visited Berlin to attend the Fifth Baptist World Alliance Congress. There, he decided to change his name to Martin Luther King to honor the German theologian, and decided to change his son’s name as well. You may already know that Martin Luther King, Jr. attended Morehouse College in Atlanta, receiving his bachelor of arts degree in sociology there. But what many do not know is that King entered Morehouse as an early-admission student at the young age of just 15! Add Some Sparkles to Your New Year’s Resolutions! They say time flies when you’re having fun, and it has indeed been a fun year here at Sparkles Hiram! It’s hard to believe 2016 is almost here, but as the days tick down, we’re looking ahead to another year of family-friendly fun. As you get ready for another year, will you be making any new year’s resolutions? If so, read on for some ways to add some Sparkles to your year in 2016. Getting in shape, exercising more, and losing weight are common new year’s resolutions, but did you know that Sparkles can help you out with this goal? While you may just think of roller skating as a fun night out, it’s actually great exercise. Skating regularly can help you burn calories, tone muscle, build lower body and core strength, and improve balance, agility, and stamina. With today’s hectic work and school schedules, plus the distractions of hand-held technology like phones and tablets, it’s easy to feel like you and your family members are drifting apart. In the coming year, commit to unplugging from the gadgets and spending some quality time with your family. Come to Sparkles for Monday Madness or another one of our sessions to skate, play laser tag, battle each other in the arcade, and let the kids run wild in our indoor playground. In addition to family relationships, friendships tend to get put on the back burner when you’re busy all the time. Make a point to invite your friend out for a monthly get-together to catch up and have some fun. Skate to your favorite current and classic music, make your buddy-action-movie fantasies come true with a few games of laser tag, and head over to Couey Cafe for a beer or wine. 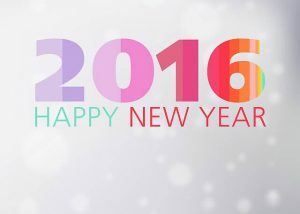 No matter what your goals may be for 2016, we hope you’ll make some time for fun at Sparkles! Spread the Holiday Cheer with Gift Cards! Finding the perfect gift for someone can be a challenge, but at Sparkles, we’re taking all the guesswork out of playing Santa so you can surprise everyone on your list with a gift they won’t soon forget! Did you know that researchers have found people are happier when they spend their money on experiences, not things? Surprisingly enough, it’s true! With that in mind, why not give the people on your list an experience this Christmas instead of one more object adding to the clutter? Most of us have enough “stuff” in our homes anyway, so this is the perfect way to break out of the box and show them something special. What is this mystery gift that is sure to wow your friends and family? It’s so simple, easy, and affordable: Sparkles gift cards! Gift cards to Sparkles are a great solution because you’re literally giving the gift of fun! Gift cards can be used for admission to roller skate, play laser tag, and/or use the playground (kids 10 and under only). And right now, we’re offering a great deal on gift cards to Sparkles Hiram: Purchase a gift card for $25 or more and get $10 extra for FREE! You can’t beat this family-friendly gift that’s perfect for kids, teens, and adults alike, helping the recipient get out and have some fun while also getting active. To learn more, give us a call at 770-943-4446 or contact us. 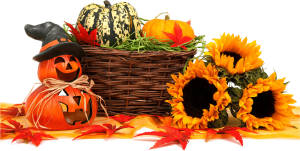 Thanksgiving is just around the corner, and if you’re looking for fun things to do in Hiram, you’re in luck! We have some great events planned all throughout Paulding County’s Thanksgiving break for kids, teens, and adults. Read on to see what we have in store, and don’t forget to follow us on Facebook for reminders about upcoming events and specials! Monday, November 23rd: Open 11 am to 8 pm, with Monday Madness from 4-8 pm ($2 skate admission and $2 rental). Tuesday, November 24th: Open 11 am to 8 pm. Wednesday, November 25th: Open 11 am to 8 pm. Thursday, November 26th: We will be closed Thanksgiving day so our employees can celebrate with their families. Friday, November 27th: Open 11 am to 11 pm for skating, laser tag, playground, and arcade, BUT our skate shop is also open 10 am to 11 pm for our Black Friday Skate Sale! Get your Christmas shopping done early with our amazing skate package special. 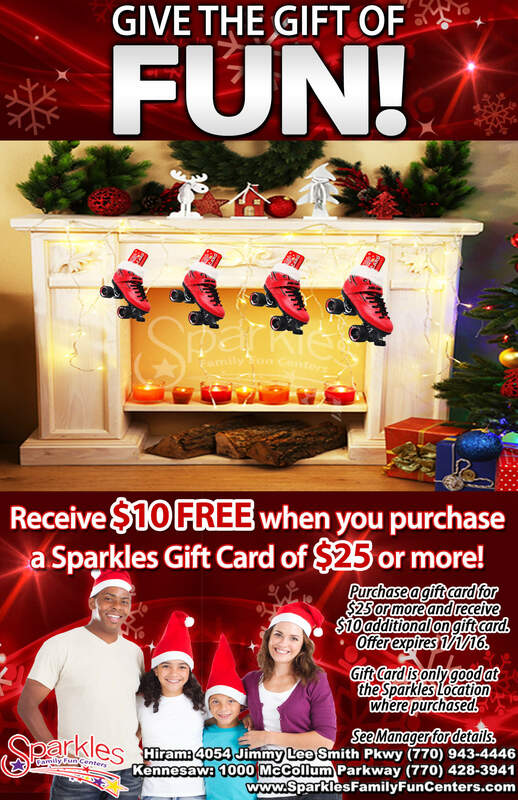 Buy any skate package over $100 and get 100% of your money back on a Sparkles gift card good towards admission! We have skates for all ages and interests, so this is a great deal! Saturday, November 28th: Open 10:30 am to 11 pm. Get the best value with our Saturday Night Family Fun Pack from 6-11 pm! Get skating admission, skate rental, $7 game card, 1 large cheese pizza, 1 pitcher of soda, and your choice of laser tag or playground admission for up to 5 family members, all for just $70! That’s a $120 value. Sunday, November 29th: Open from 2-7 pm.